One of the lesser visited islands in Andaman, Neil Island is a place where one can truly shut themselves off from the outside world. This island offers three beautiful beaches – Bharatpur, Laxmanpur and Sitapur Beach. There is also a natural bridge formation that one can visit when in Neil Island. It’s a small destination which hardly stretches to about 5 km. Apart from running the Silver Sand Beach Resorts in Neil Island, the same group also manages an amazing property in Havelock (?) and a small boutique hotel in Port Blair called Hotel Sentinel. 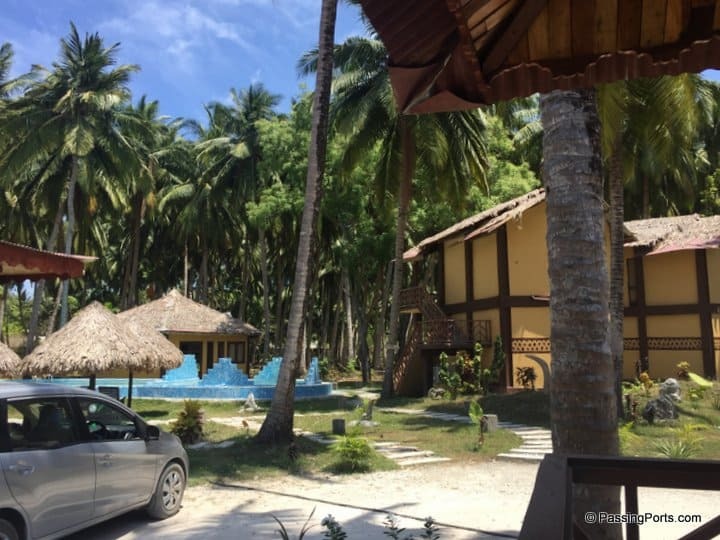 Silver Sand Beach Resorts in Neil Island is less than a five-minute drive from the jetty. If you are up to it, you can even walk from your ferry to this property. As you enter the resort, you will notice a huge boat that hangs opposite to the reception. Loved that sight (and I’m sure you will too!) and I couldn’t wait to see how they have designed the interiors of the rooms. Their staff are friendly, WiFi works only in the reception area, a small swimming pool, a huge area for kids to run around and the beach is at the end of the resort. Bonus, they serve tasty meals throughout the day. When I entered the room, it made me feel WOW instantly. Small rooms yet beautifully designed. I felt cosy and immediately snuck into my bed to relax. The bed was absolutely comfortable and the bathroom was spacious. Outside of every room, there are chairs to laze around and dive into deep conversations, or just read a book! You can rent scooter/cycle from here. They also have a small swimming pool where you can sit and talk stories all day long. Like I mentioned earlier, WiFi is available only in the reception area. You could also walk to the beach and play Frisbee or simply lie down on the chair and listen to the sound of waves hitting the shore while the birds keep chirping (at least during the day). The water recedes as the day approaches so don’t be surprised if you find the waters closer to you the next morning. I loved the room, the silence that this place offered and the hospitality in this resort. Extremely spacious and done up well. Would I go back? Absolutely! Book your room now at the Silver Sand Beach Resort, Neil Island on Agoda or Booking.com.